Thought of as a “bedroom” community to Myrtle Beach, Carolina Forest is a 9000 acre planned neighborhood between Conway and Myrtle Beach. This highly regarded community has its own elementary, middle, and high schools, a small shopping center and professional services such as doctors and dentists, making it self-sufficient as well as convenient for residents. Designed around The Man O’War, The Wizard, and Witch golf courses and enhanced with an abundance of lakes and nature trails, the many neighborhoods of “The Forest” feature a variety of homes, sizes, and prices to fit any family or need. The charm of Sawgrass East is like a beacon to buyers. Unique 2 and 3 bedroom townhomes are a great bargain, selling from under $100,000 to around $140,000 in this peaceful neighborhood. Homes feature covered porches in front and/or back with fenced in patios. Outside the city limits of Myrtle Beach, taxes are lower, which is always a plus. 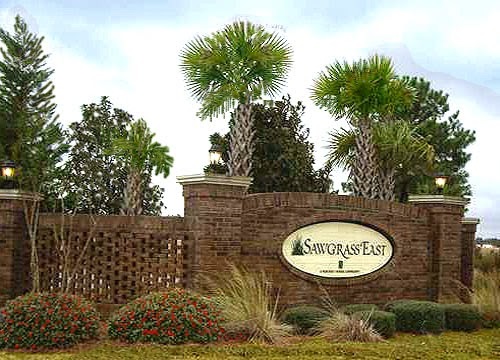 Centrally located within Carolina Forest, Sawgrass East is convenient to everything in the community and all the attractions, shops and restaurants along the Grand Strand are just an easy drive away. Schools that are only a mile away, a community clubhouse and pool, and many biking and walking trails keep these homes very much in demand and the ideal inexpensive choice for a family. There are many differences between condos and townhomes. The biggest distinction is that a townhome owner possesses the exterior of their structure and the land around it while a condo owner possesses the interior of their home and the HOA (Home Owners Association) is responsible for the exterior and the land around the condo. Whether you are looking for an area with good schools to raise a family, a home with lots of convenience to settle into retirement in, or a great investment property, look no farther. 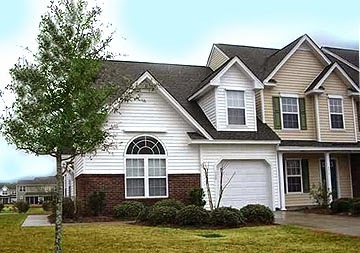 Let us show you townhomes for sale in Sawgrass East Carolina Forest. Call us today.